Put PDFs together, merge PDFs, or glue PDF files very easy!! You want to put together a PDF? Merge multiple PDF files together for free? 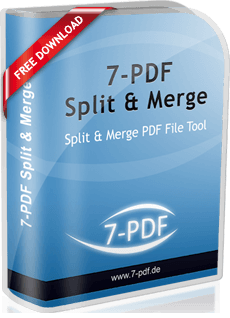 Then combine with our freeware PDF Split & Merge your desired PDF together. You would like to share a PDF? No problem, here too our PDF software is the right choice! If you are faced with the challenge of putting together one or more PDF documents under Windows 10 / 8.x / 7 in order to send them in a suitable manner, for example to a business partner as an attachment in an e-mail, then you will usually not get very far with on-board resources on a PC - just this task to be able to accomplish. Especially if you want to merge several existing PDF documents so that their order derer corresponds, which also makes sense. For example, a cover letter in PDF format in front of a PDF invoice also available in PDF, together with PDF general terms and conditions in a complete PDF document. Just use our PDF Sharing / PDF Merge Tool for Windows for these tasks. The PDF software directly offers these useful features clearly arranged and very easy to use. The user interface for merging or dividing PDF documents is clearly structured and clearly arranged. It is also easy to understand and available in German and English. On top of that, we offer the software as PortableApp variant for the USB stick or mobile data carriers. So a real added value for mobile work. Split existing PDF files into odd and even pages is another interesting flexible feature. Certainly you will be able to use PDF documents for freely definable page areas and group blocks when split PDF files. For businesses, the support for terminal servers and Citrix systems may be interesting to easily distribute the PDF Split And Merge function directly to countless users. As a proprietary freeware application, it is ideal and can be upgraded to the PRO version, certainly a real corporate value for exactly these required functions. 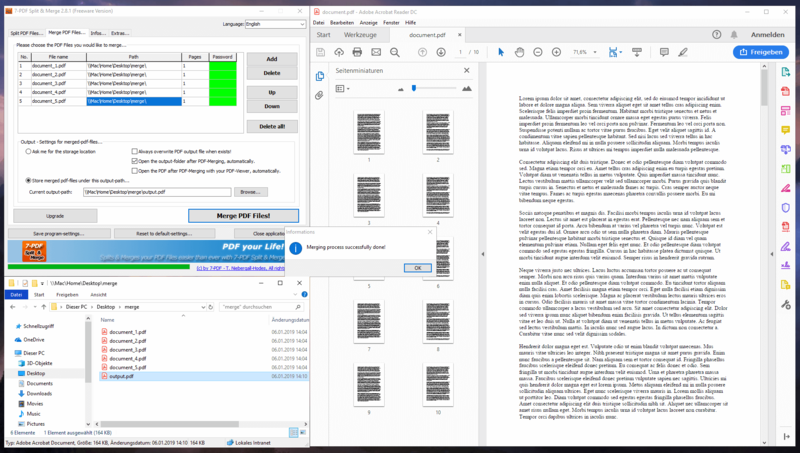 Try PDF Split And Merge right now. With a file size of approx. 2MB, the smart PDF application certainly captivates not only its users in the company through its lean and high-performance nature, but also as IT experts.